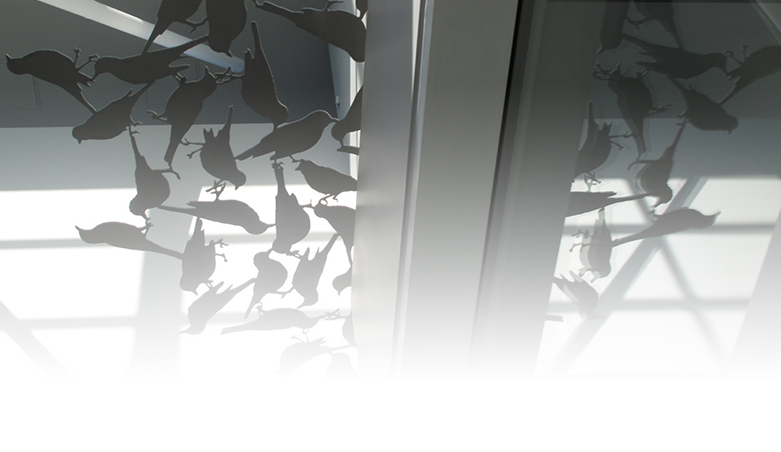 Three distinct elements make up this installation located at the hedge of the inside and outside spaces of the Nursing teaching pavilion at the François-Xavier-Garneau College, in Quebec City. 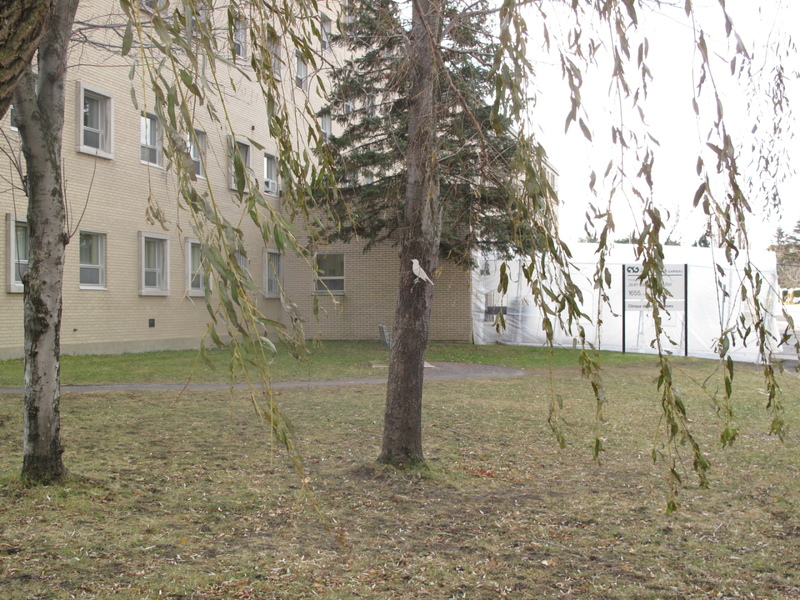 On the school grounds, we first discover a sculpture that partially reproduces the imprint of the silver maple growing across the street. 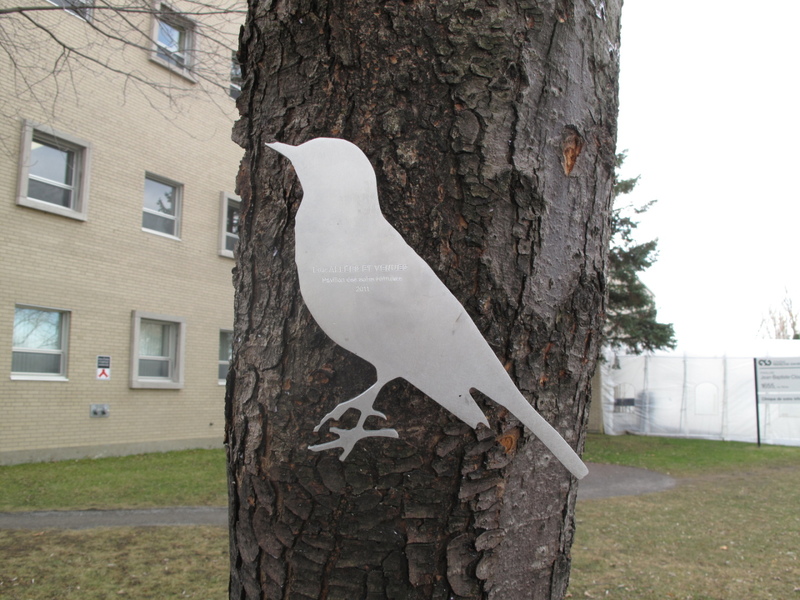 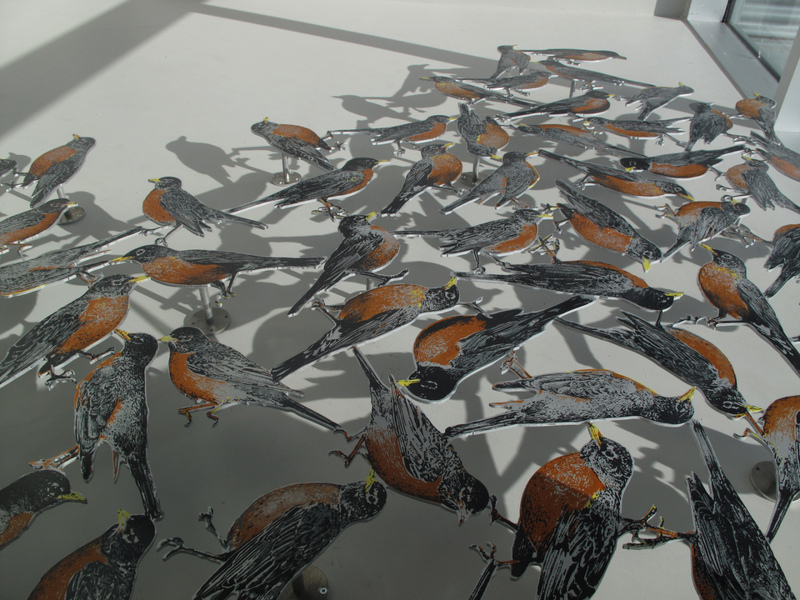 On it, we can find an aluminum cut out of an American Robin, specie widely spread around the pavilion. 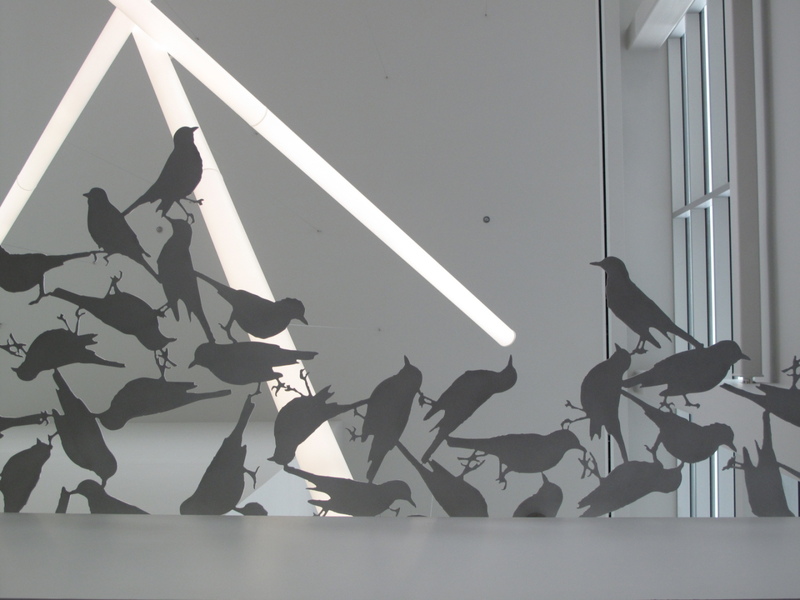 This cut out is reminiscent of a multitude of other birds that make up the installation and that are spread between two planes of the atrium. 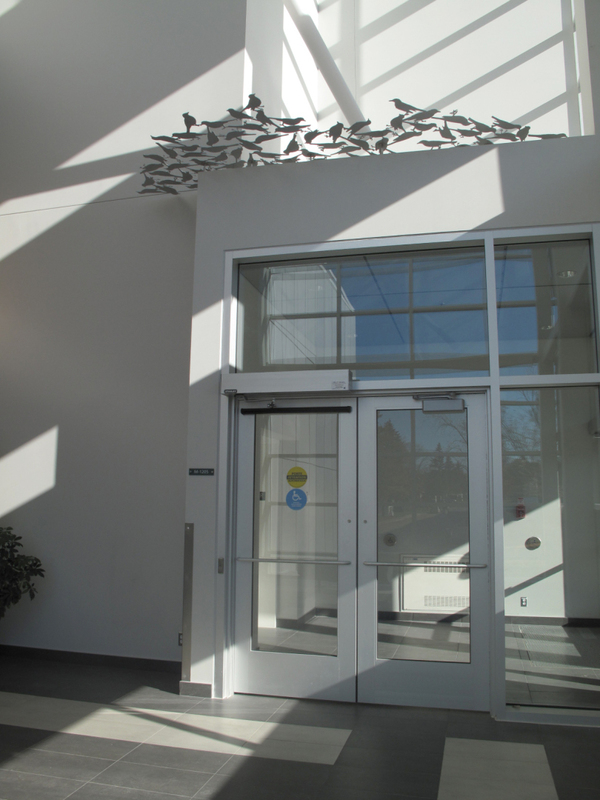 Set in the vicinity of the main entrance, the ensemble represents the incessant crossings of the students and teachers that breathe life into the scene. 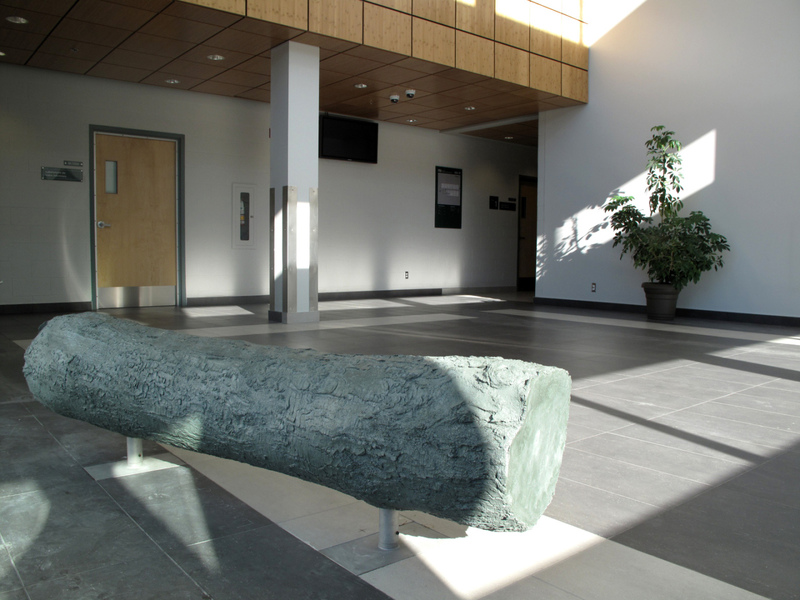 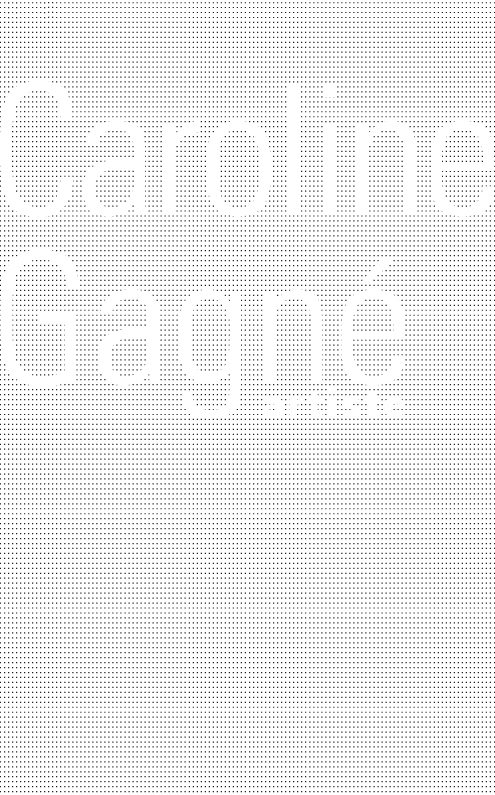 By activating the poetic symbols inspired by the community, Les ALLÉES ET VENUES puts forward the qualities essential to the nursing practice, namely : the relation to others, the observation ability and the forging of ties.